This year SJBA Educare Program in SJBA will be held on 6 December 2015 to provide poor students with school items to start the new school term. It is expected that about 500 to 600 needy students will receive the school items on 6 December 2015. 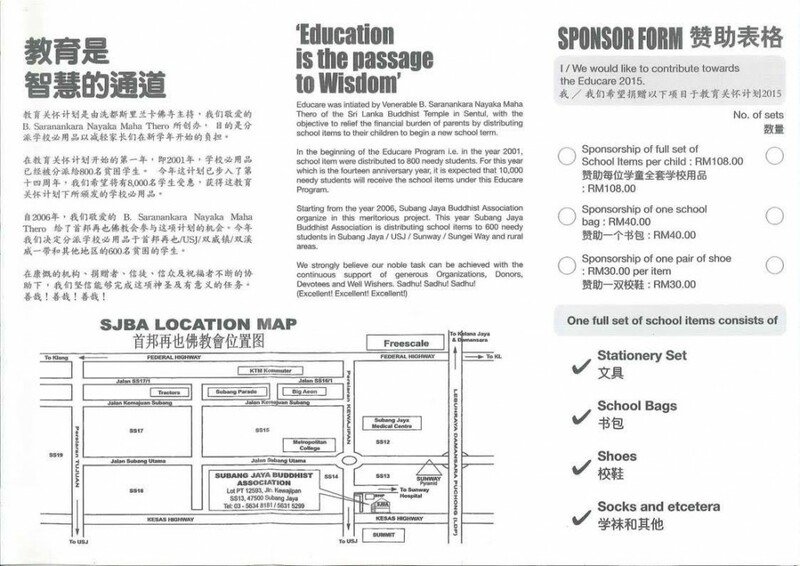 Each student will receive a full set of school items which consists of school bags, shoes, books, stationary, etc. which costs about RM100.00. The amount may not be a lot but it is a simple yet significant gesture of ours to show our care and concern to poor students. We hope that through this simple but sincere gesture, the students are motivated to study better and achieve academic success and eventually success in life. 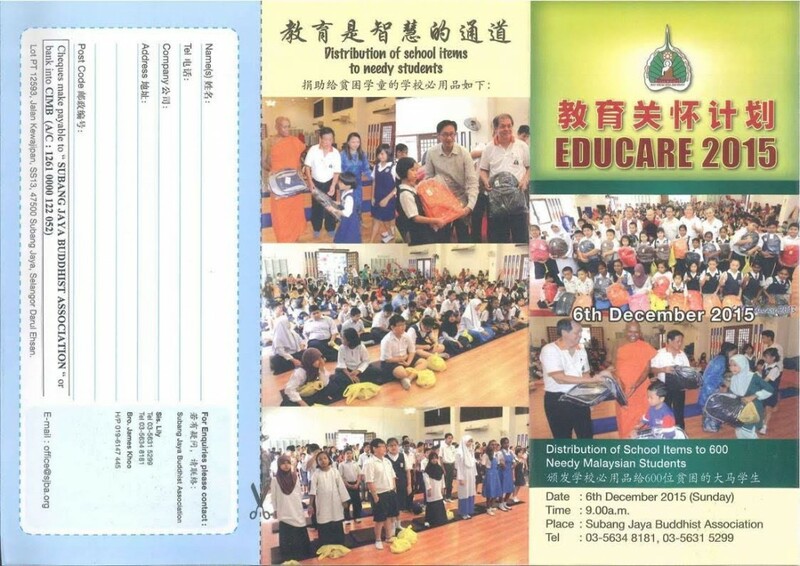 If you wish to contribute to this Educare Program,please contact Sis Lily at Tel. 03-56315299 or bank into CIMB (a/c : 1261 0000 122 052). Thank you in advance for your support. May your generosity and the merits accrued from your good deeds brings you peace, harmony, success, good health and happiness always!